For anyone who has used SquirrelMail, you know you pretty much always have to enter “@domain.tld” after the username to log in and use it. Its one thing when you’re running it for one domain, but it makes it even worse when you have multiple domains using the same script as well. 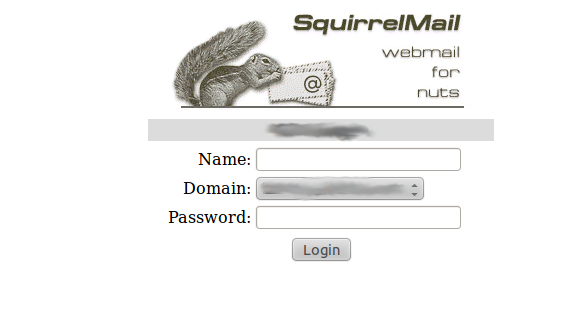 This alone got me wanting to hack SquirrelMail to be less troublesome, so I can get into mail faster. With a few file changes, I was able to do this without worry. Total time needed: ~10 minutes, ~5 if you’re just copying and pasting. Before continuing on with this journey, please note that my set up is a virtual mail system, with domains and such stored in a MySQL database. I can’t guarantee that this will work for Maildir (and other non-MySQL) set ups, but any changes needed should be minimal, if at all. Also, throughout all of this, there could be other ways to do this, but this is how I got it working for me. What this does is strip out “www.” if it’s found in $_SERVER[‘HTTP_HOST’] (which returns the domain name). This specifies the name for the domain selection form item (you can name it whatever you want, but if you do change it, you’ll have to make the appropriate changes later on as well). * Used for domain choosing only…! Essentially this populates an array of the domains available on my server. You’ll have to modify this accordingly, as everyone’s setups might be different. The reason why we store the domains in an array is because SquirrelMail’s HTML template system uses an array for the select drop-down menu, which you’ll see later on. ‘right’, ”, ‘width=”30%”‘ ) . What this does is get the “domain” variable sent from the form submission, and stores it inside of $domain_name variable. Then, as $login_username (further up in the script) as already given the username submitted, we tack on the “@domain.tld” portion to it. Then, the redirect.php script will send $login_username, which will look like “username@domain.tld”, to the authentication mechanisms SqiurrelMail has internally, and go from there. All in all, having to loop through a lot of files and such, it took me about 30 minutes to set this up. One thing to note though, is that if you try updating the script, make sure you have a backup of these two files. They will be overwritten. A safe thing to do is maybe also run a diff check on the new and current files, and see if the update is worth it.